In times of crisis, Americans across the country have an immediate reaction of wanting to give and wanting to help. This is a very good thing, and it’s one of the things that make this country great. When the Haiti earthquake hit and when the Chilean earthquake followed, people everywhere were organizing drives of various types to get some sort of relief on its way. Like with many good ideas though, a little polishing can make a good idea great. Goods – Donations of clothing and other items are good if done in the right way. Income – Sharing your cash is the most efficient way to help, but there are things you should know. Volunteers – Some disasters could use some helping hands on the ground, but others don’t. Expertise – In some cases you can help victims get certain areas of their life back on track. This is the most common form of donation, especially when a local catastrophe occurs. If someone’s house burns down and the family loses everything, neighbors are usually quick to contribute clothes, household goods, etc. to help the family get back on their feet. The more local the disaster, the more useful is the donation of goods. However, for large-scale incidents or disasters farther away, the donation of tangible items becomes less of a good idea. This is because physical items require sorting, shipping, storage, distribution, warehousing, etc. So, by the time you send that old pair of jeans half a continent away, they eventually wind up costing more than a brand new pair. The best way to donate physical goods is through local organizations that are set up to handle them and who will either use them for local disasters or who can sell the goods to raise money to be used in other ways to help. Good examples of places to donate include faith based organizations, Good Will, and the Salvation Army. When it comes to disaster relief, cash is king. With cash, relief organizations can pinpoint exactly the type and amount of items they need for a particular disaster and purchase accordingly. Money can be used to supply a variety of aid including water, food, and medicine, and is not limited to the items we usually see donated. One caveat though, is the fact that after any major disaster the scammers come out of the wood work trying to rip off good hearted donors. If you follow a few safety precautions you can be sure your money is getting to the right folks. First, only donate to a recognized charity and one that will use the money for the purpose for which you are donating. The most recognized group is the American Red Cross (and by the way, it’s always good to donate blood). To check the legitimacy of others take a look at www.charitywatch.org or www.charitynavigator.org. These sites can tell you who’s for real and how each organization will spend your money. Neighbor helping neighbor is one of our highest civic duties. Nothing beats having an extra set of eyes, hands, or shoulders when it comes time for disaster recovery. Like goods above though, there are certain ways to offer your volunteer services. First, don’t rush to the scene of an active disaster unless you’re a part of local emergency management. People who show up at incidents are called “Convergent Volunteers” and if there are too many, they can actually get in the way of the emergency response. This became something of a problem in Haiti because the airport could handle only so much incoming traffic, and local officials could process only so many incoming foreign nationals. If you’re part of an organized group such as CERT, which is a great thing, please wait until your group is activated or called up. The concept of volunteers above conjures up mental images of people making sandbag walls to protect from floods, cleaning up debris, setting up food lines, and other physical services. After a major disaster though, the needs of the victims fall into numerous categories, only a few of which would benefit from physical help. For example, during any post-event recovery phase, victims will need assistance with insurance, taxes, unemployment issues, government grant applications, and with all phases of dealing with the legalities involved with injured or deceased loved ones. If you deal with any of these things in your professional life, you’ll be highly valued as a volunteer. The same rules apply though. Offer your assistance to local authorities and wait to be called up. Though we’ve thrown in several “don’ts” in our short discussion, please don’t think that your help is not needed. It is needed, especially in these economic times when simple disasters can hit our friends and neighbors harder than usual and when first responders and emergency management groups are under the same financial issues the rest of us are. The next thing to do is look at the hundreds of other ways you can protect your family and contribute to your community in times of crisis. 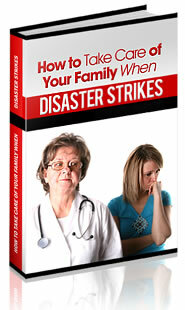 Read more of our how-to articles on our “Disaster Prep 101” book site.